Camping Moulin du Périé er en campingplads i Sauveterre-la-Lémance, Lot-et-Garonne, beliggende ved en flod/å og ved en sø/badesø. Denne campingplads har pladser der er afmærkede, med skygge og pladser med en smule skygge.Camping Moulin du Périé ligger tæt ved en sandstrand. Det er muligt at leje telte, mobil homes og bungalows. Campingpladset har en legeplads og et sportsområde. For den sporty feriegæst har campingpladsen forskellige cykelruter.Campingpladsen har en udendørs swimmingpool.I de nærmeste omgivelser kan du svømme i i en sø/badesø. Denne inspektør besøger hvert år Camping Moulin du Périé og inspicerer campingpladsen ud fra omtrent 200 faciliteter og andre fokusområder. Inspektøren arbejder for ACSI og arbejder altså ikke for campingpladsen. Synes godt om - Lovely campsite in a beautiful setting. Family Baudot couldn't be more helpful and friendly and there is a lovely, relaxing atmosphere around the site. Nice, home-cooked food on site. Lots of lovely places to visit locally. Definitely not like the bigger, better-known French campsite brands, but lovely because of that. Our kids (7 & 10) loved this site as much as any bigger site we've stayed at. Would recommend to anyone visiting the area and would definitely visit again. Brilliant value for money. Synes godt om - Nice family own, family run camping site. Children love it, and adults too. Ther region is beautiful and there are plenty of activities to do and have fun with the family. Synes godt om - A mixture of shade and sunny emplacements, extremely friendly owners who do everything possible to make your stay pleasurable, safe places for children to play away from the units, easy access to places of interest in the area, high quality food in rustic surroundings if you want it or take away if you prefer to stay at your unit. Synes godt om - well kept site and very friendly staff. Synes ikke godt om - The 20 Euro booking fee, payed in advance with a nights payment. If we had not turned up you could j=have kept the nights fee, so no loss to you. Vil du booke Camping Moulin du Périé eller have yderligere information? Det kan du via nedenstående oplysninger. I Sauveterre-la-Lémance er der skilte mod cp. Følg vejen til venstre over sporet. Cp ligger ca. 3 km uden for landsbyen, mod Loubejac. 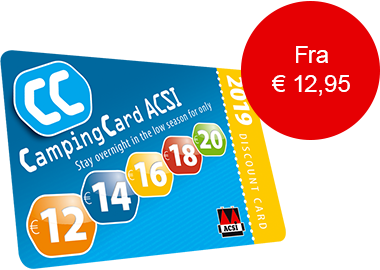 ACSI Eurocampings sender din forespørgsel videre til "Camping Moulin du Périé".